The 864 | High Output GSR2 | Xtrordinair Gas Fireplace is the ultimate high-performance gas fireplace - fuses a show-stopping flame appearance with a large heat output. The GS2 offers the Ember-Fyre burner with your choice of firebacks. This unit sports 864 square inches of Neo-Ceramic Glass that comes with the ANSI-accommodating invisible safety screen. 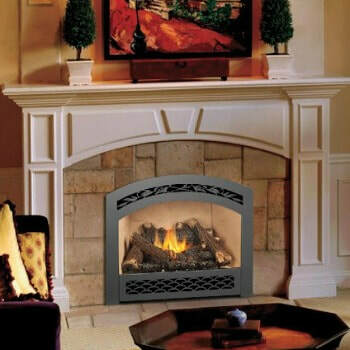 This screen bolsters the safety of the fireplace for your friends and family. The GS2 also includes a convection fan and ambient accent lights. 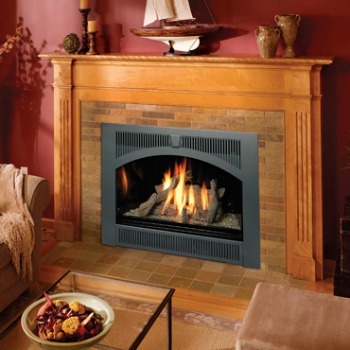 In addition, a film cooling technology allows for tighter clearances to the mantel and maximum heat output. *All measurements and colors are approximate, contact Bare's for details. Specifications may change without notice. Please note Bare's Stove and Spa strives to update manuals and information as they become available. These are for reference only; the latest documentation by the manufacturer takes precedence. Please visit Bare's for color options, dimensions and additional information. FPX 864 HO Installation in covered outdoor deck from Travis Industries on Vimeo. ​​​​Would you like to see more options? This unit can be used with Lopi fireplace accessories and faces. Visit the following for more great options.